The PM Dăncilă underlined the Romanian government’s commitment to move forward on EU enlargement matters, with particular attention paid to the Western Balkans and a focus on common European values. 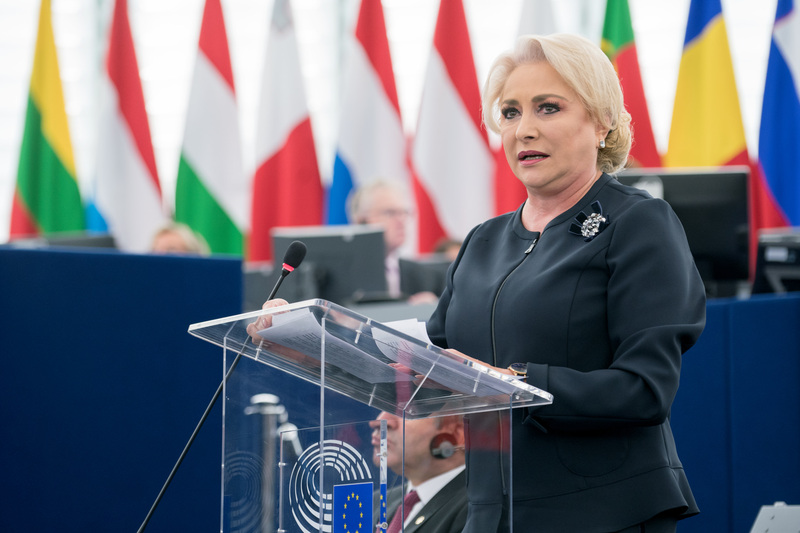 Competitiveness, digitization, protection and the safety of citizens will be the focus of the Romanian presidency of the Council, said Prime Minister Viorica Dăncilă. During the next six months, the Romanian presidency will aim for better political and economic cohesion between member states and will commit to work towards reducing development gaps between regions, supporting economic growth and digitization, especially for European industry. Coherent management of migration flows, strengthening the EU’s external borders and a better protection of citizens in virtual space will also be work priorities in the first semester of 2019. Setting up and even extending the mandate of the European Prosecutor’s Office to include terrorist offenses and better cooperation between countries of origin and transit countries on migration issues will also be on the agenda. The Prime Minister underlined the Romanian government’s commitment to move forward on EU enlargement matters, with particular attention paid to the Western Balkans and a focus on common European values. MEPs of all political groups underlined that they stood ready to work hand in hand with the presidency to move forward on European legislative matters in priority areas, pointing out that the Romanian government must do more to promote European values by being more politically stable and consistent.